While DGCA recommended more training, it said Jet Airways Ltd and SpiceJet Ltd, which operate 737 MAX jets in India, have not had problems with the aircraft. Pilots flying Boeing Co's 737 MAX jets in India should be trained on a simulator that replicates the suspected scenario that led to the Lion Air crash, the aviation regulator said in a statement on Thursday. An Indonesian Lion Air 737 MAX passenger jet flying to Jakarta from Bali crashed on Oct. 29, killing all 189 people on board. While Directorate General of Civil Aviation (DGCA) recommended more training, it said Jet Airways Ltd and SpiceJet Ltd, which operate 737 MAX jets in India, have not had problems with the aircraft. "Even though Indian operators have not experienced such major concern ... following decisions were taken as interim precautionary safety measures till such time Boeing issues more detailed information or clarification," the DGCA said. An interim Indonesian report did not give a cause for the crash but focused on airline maintenance and training and the response of a Boeing anti-stall system to a recently replaced sensor. Lion Air pilots flying the same plane on its penultimate flight a day earlier had experienced a similar problem of nose-down movements, but used a procedure to switch off the relevant system. Boeing has said this was the correct procedure. But US pilot unions have said a software upgrade was not included in training or manuals and that it changed the behaviour of some controls in a way that could confuse pilots. 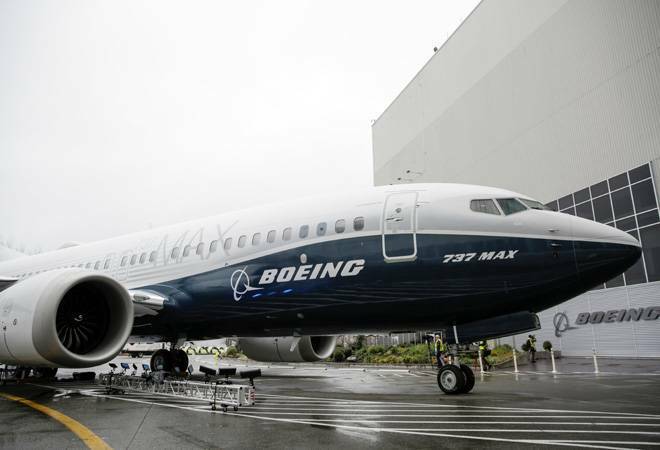 The Seattle-based airplane maker is weighing plans to launch a software upgrade for the 737 MAX that would help address the issue faced by the Lion Air crew, sources have told Reuters. Boeing did not immediately respond to an email seeking comment. The DGCA has asked the airlines to provide detailed technical information and a reporting plan to its crew if it detects a Manoeuvring Characteristics Augmentation System (MCAS) defect. The Indian regulator said airlines must instruct the crew to divert to the nearest possible airport in case there is a MCAS defect in the flight. Indonesia's transport safety committee, in its preliminary report, criticised the decision by a crew on the same jet the evening before the crash to continue to their destination rather than diverting the flight after the MCAS system activated. The crew in that case managed to shut off the system. The DGCA said that if an aircraft has had any MCAS related issues, the airline would need to carry out a verification flight, meaning one without passengers, before undertaking any commercial flight. Lion Air did not perform a test flight after conducting maintenance the night before the crash, according to the Indonesian report.